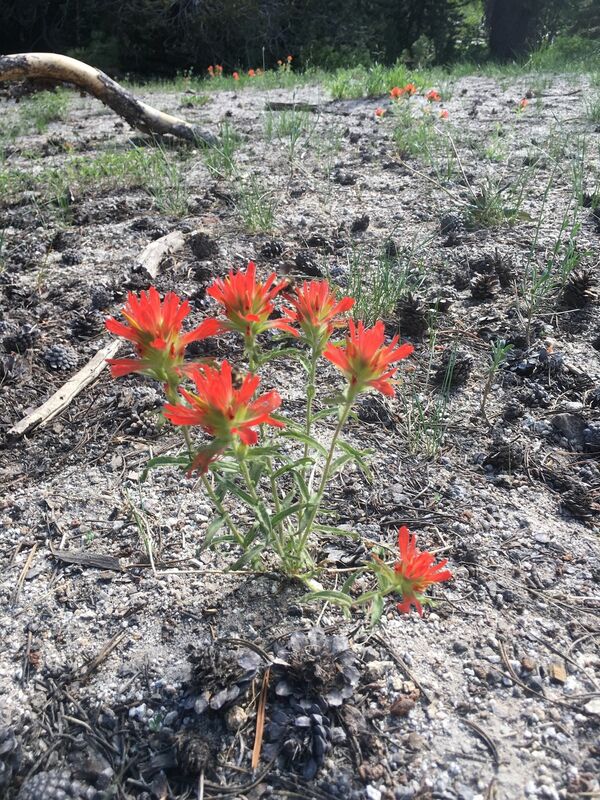 Diamond Peak via North Flume Trail is a 9.4 mile moderately trafficked loop trail located near Incline Village-Crystal Bay, Nevada that features beautiful wild flowers and is good for all skill levels. The trail offers a number of activity options and is best used from March until October. Dogs are also able to use this trail. Looking for a flat yet scenic hike perfect for novice hikers and/or flat-land visitors? 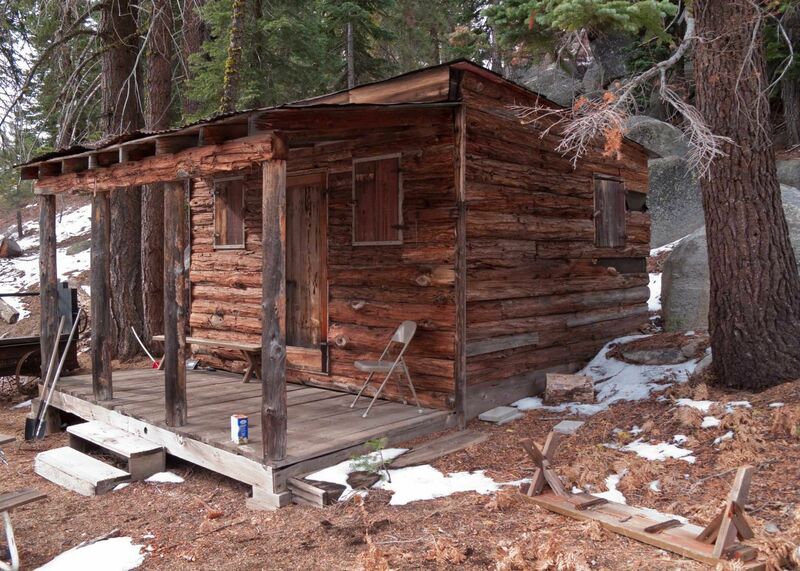 You'll love this historic hike. 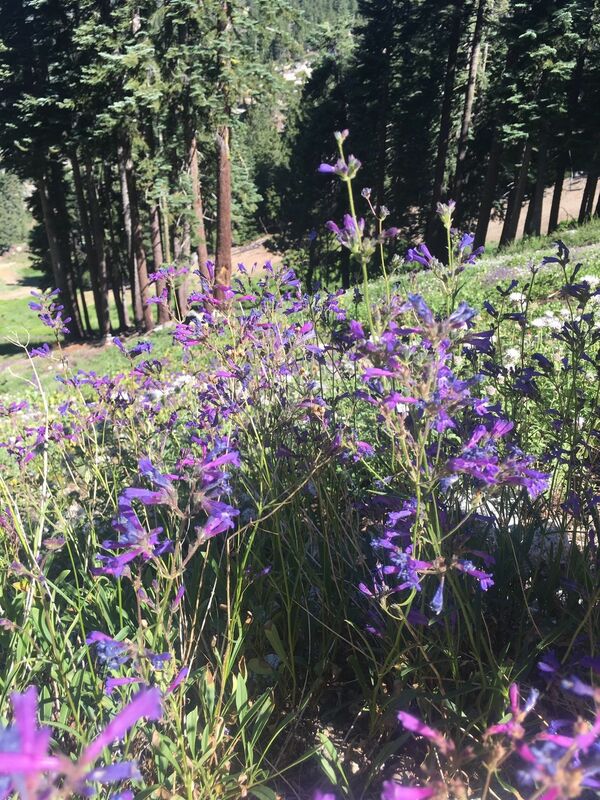 A flat hike along the Northern Flume, then a quick descent down the Diamond Peak ski resort. 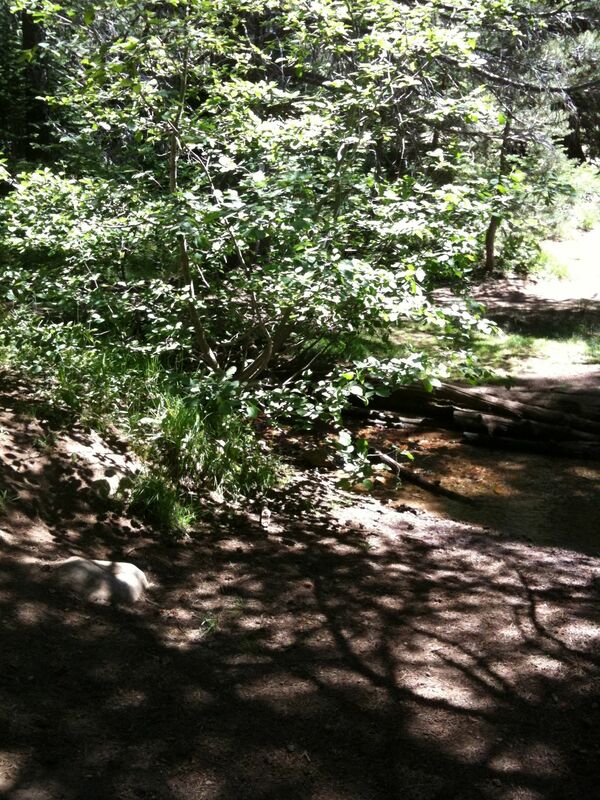 First half of hike is largely shaded with beautiful stream crossings. 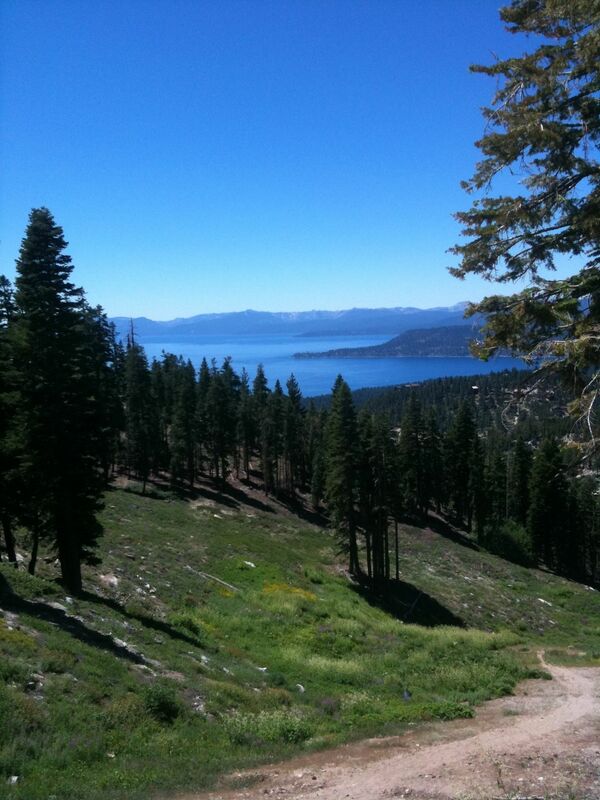 Second half of the hike has dynamite views down the Incline Creek drainage to Lake Tahoe. Also a brief optional out-and-back sojourn to more recent TV history. There is an informal area on the east side of the highway for a handful of cars... or park across the road (but be careful when walking across the road). Walk past the east end of the parking area to locate the trail. Take the trail leftward. There's a trail that intersects coming from above and left. Turn right and briefly downhill. 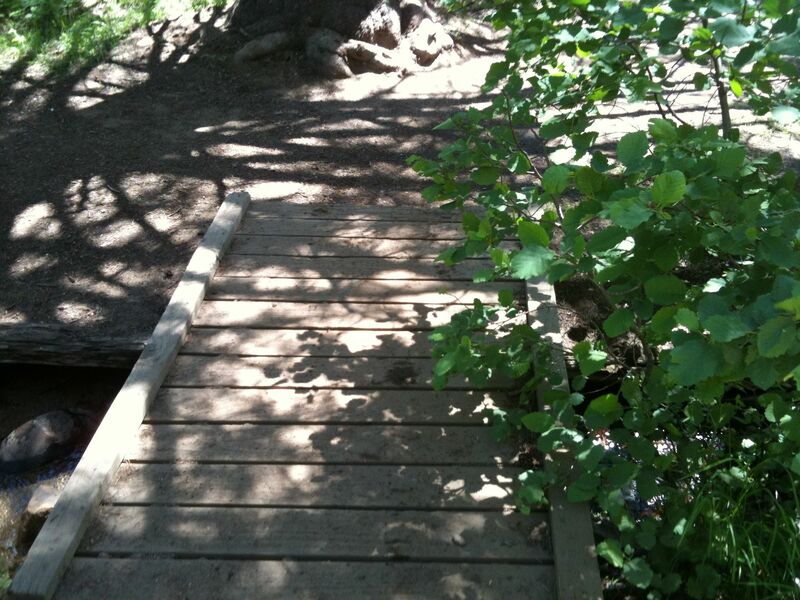 Very pleasant creek crossing with a small foot bridge. Just 20 yards after the creek you'll reach a junction. The right, downhill option would take you down the "Chinese Downhill" trail that parallels Incline Creek. At this junction, you want to turn left, go up a brief rise to rejoin the ~7600' elevation Northern Flume. 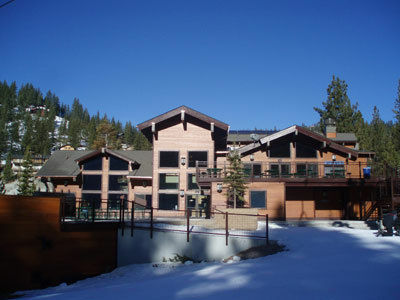 This is the base lodge for Diamond Peak. Park your return shuttle vehicle in the upper parking lot. You come down from the righthand side, and continue downward along the cat track road (Freeway run). You now come to the southernmost boundary of the ski resort and have a choice. 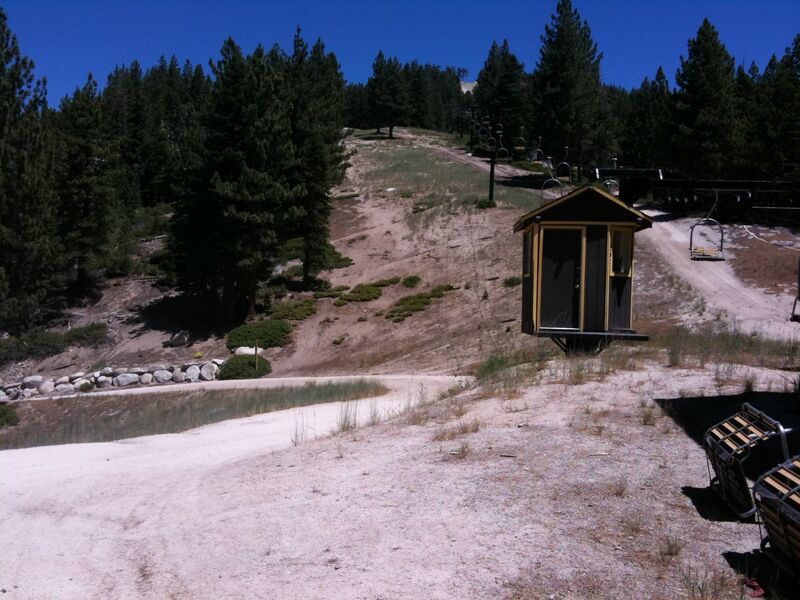 You can turn right/downhill and down to the resort main lodge... or you can take a little side trip. The side trip continues southward on the Northern Flume. As you approach this cottonwood dense drainage, look right/downward for a path that parallels the creek. You've just crossed over the Solitude Canyon (heavily treed) run of the ski area and come to the Great Flume intermediate run. 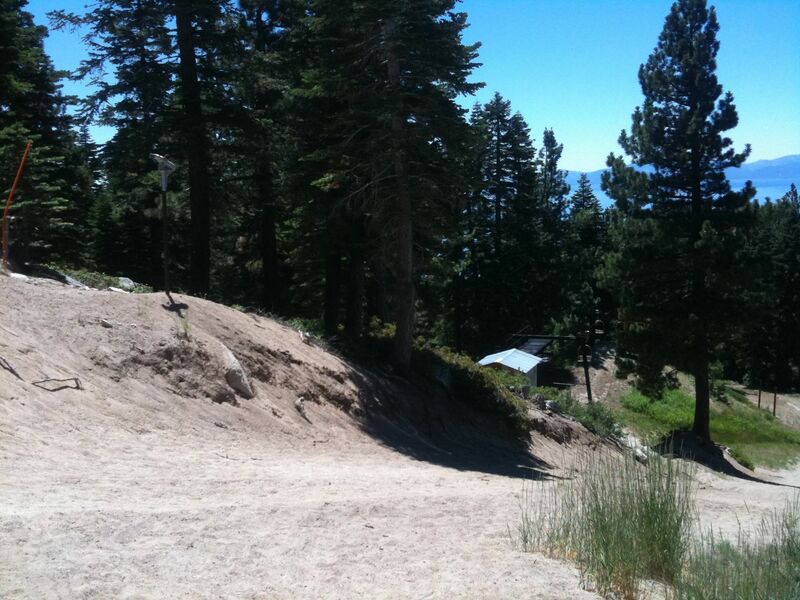 Continue forward on the trail and cross a set of advanced runs (Lightning, Diamond Back). Just below the flume and toward the just-passed creek was the Folsom Camp that housed mainly Chinese workers during the late-1800 logging days. 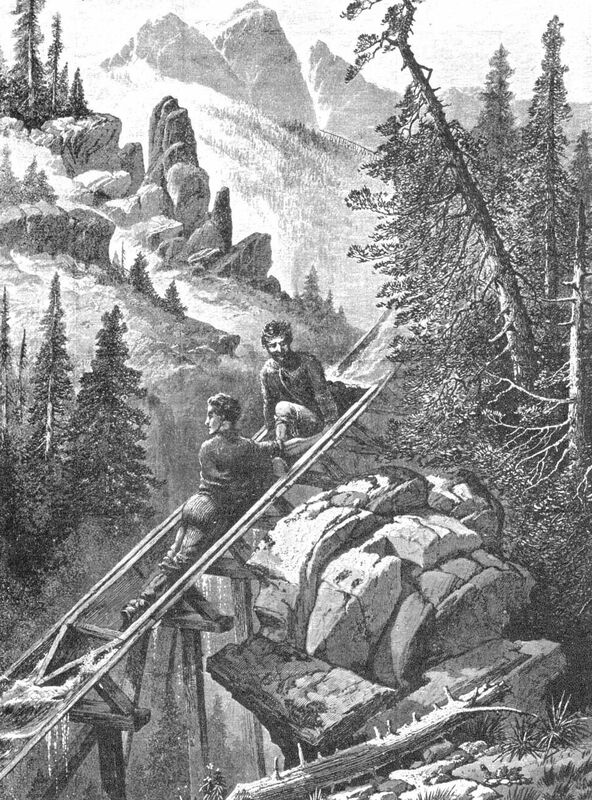 The workers had to hike up to their from what is today the Diamond Peak lodge (then a lumber yard). From this point until reaching the Diamond Peak ski area you'll be walking along the northern Flume. This portion of flume carried water from Incline Lake to Tunnel Creek, where the water was used to slide logs through a tunnel to the Carson Valley and eventual for shoring up the mines at Virginia City. You'll see boards and nails from this original flume. This is a shuttle hike, although you could also do this as an in/out hike turning around at POI 8 or 10. 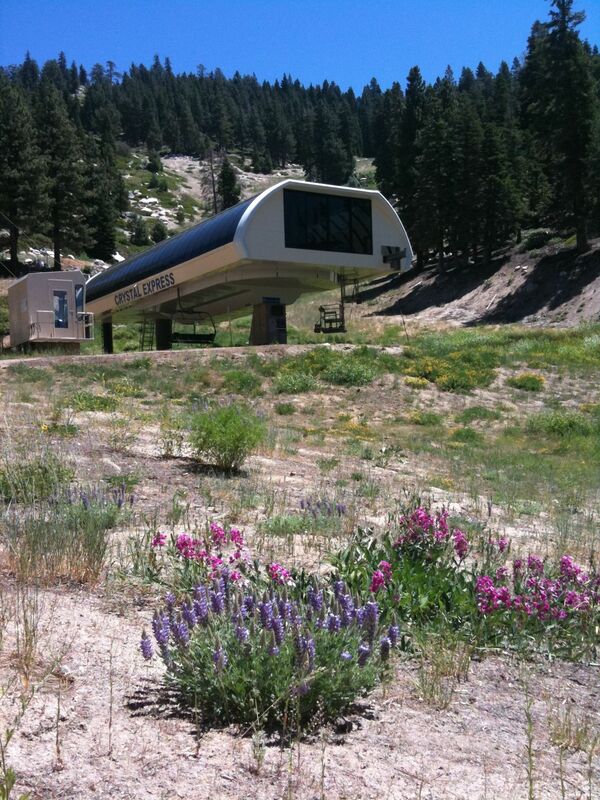 For shuttling, first drop a car at the upper parking lot at the Diamond Peak Ski Resort. Then drive along Fairview Drive to NV431 to just past the dog-leg scenic overlook. A couple hundred yards up from the overlook, you'll find two parking options... a dirt spot for a few cars on the right... or a larger pull-out area across the road on the left. 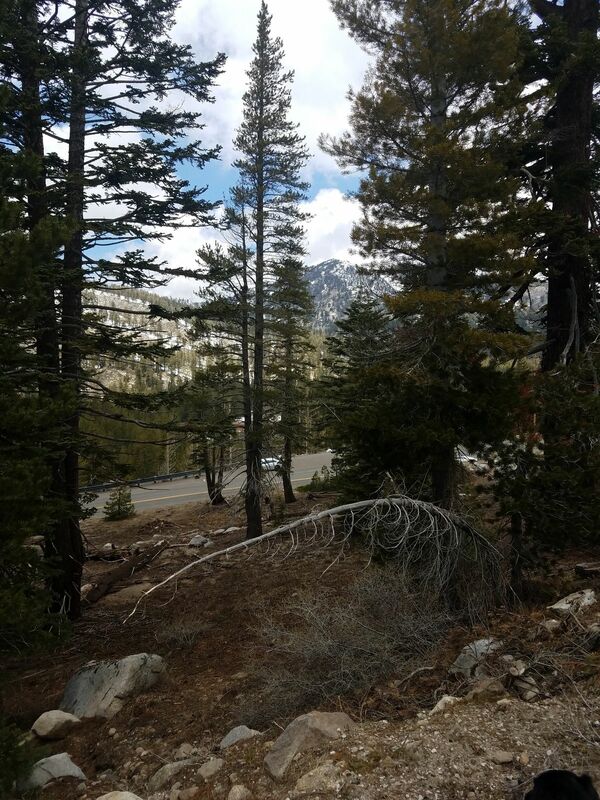 Great trails, lovely scenic views. If you look carefully, you can spot pieces of the old flumes. 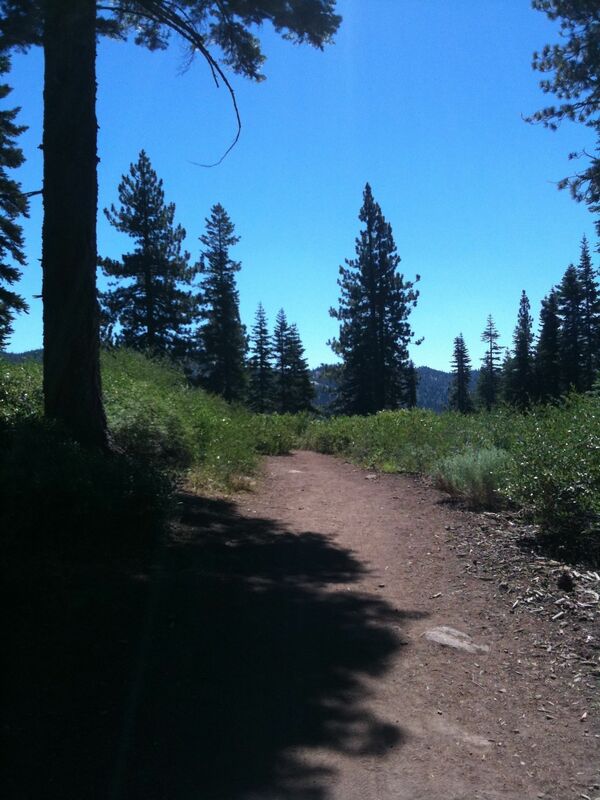 We started from the Mt Rose Rd on the flume trail. We headed all the way to where it ended via gps. 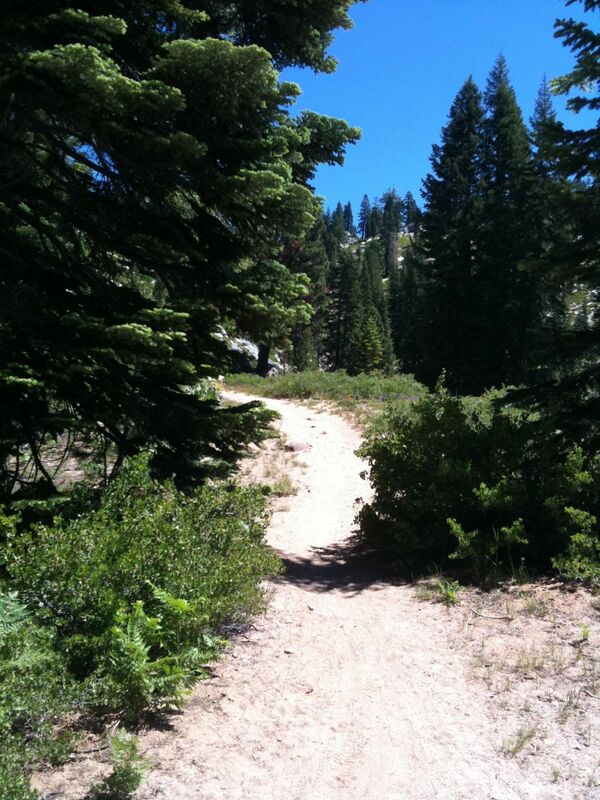 You can follow it the same way back or hook up the Diamond Peak trail. 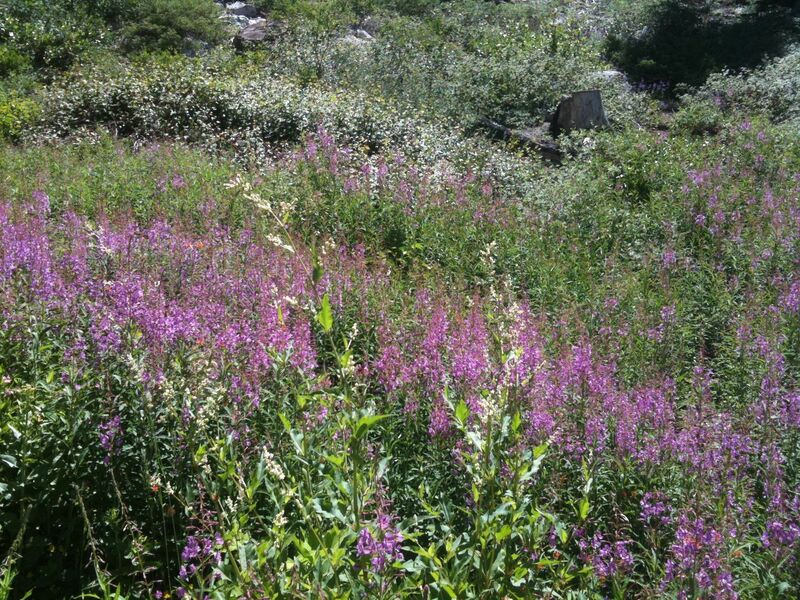 The flume trail was awesome beautiful views of he lake, crossed 5 brooks, flowers, views and it was pretty much shaded. At the end we thought why not do a loop and connect to the Diamond Peak trail that leads you back to almost where we started on the flume trail.. Big mistake via my phone gps. My map told us to head down the ski run roads into the ski resort parking lot. It was only by mistake that I found a trail leading out of the back. Not an easy trail at all! The map sent us to the bike trail, but the hike is beautiful and great views of the lake. We used the GPS and information sent to my phone via the app and never found the correct place to park. The Google Map indicated we hadn't gone far enough. The directions to the trail head told us we were 800 feet away approaching and then told us we were 1200 feet away and so on. Never found it. We did find a trail...but it wasn't the right one, apparently. 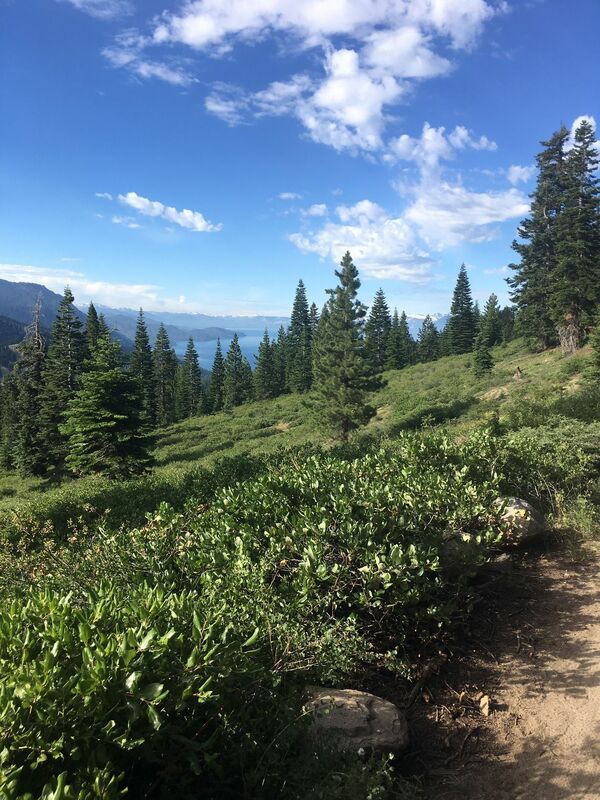 I think the best way to describe how to find the start of the trail is to say the Lake Tahoe side as 431 curves around and if you are off by just a bit in where you start looking for the trail, you might do what we did. 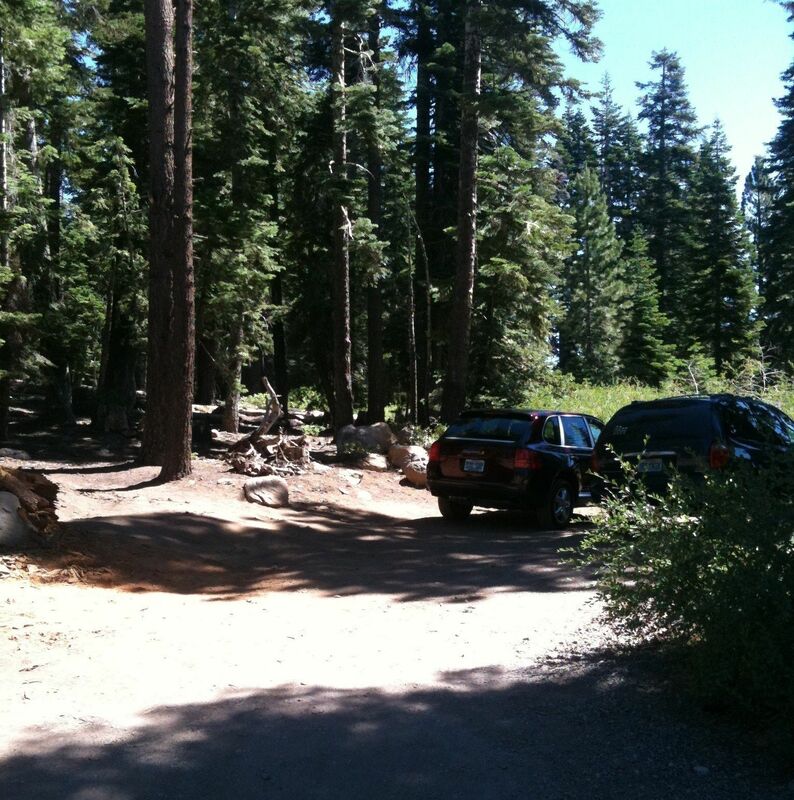 East of 431 will be on the side away from Tahoe. I have no doubt that this is a great trail for those who can find it and, frankly, I am not sure what was so difficult about it for us. 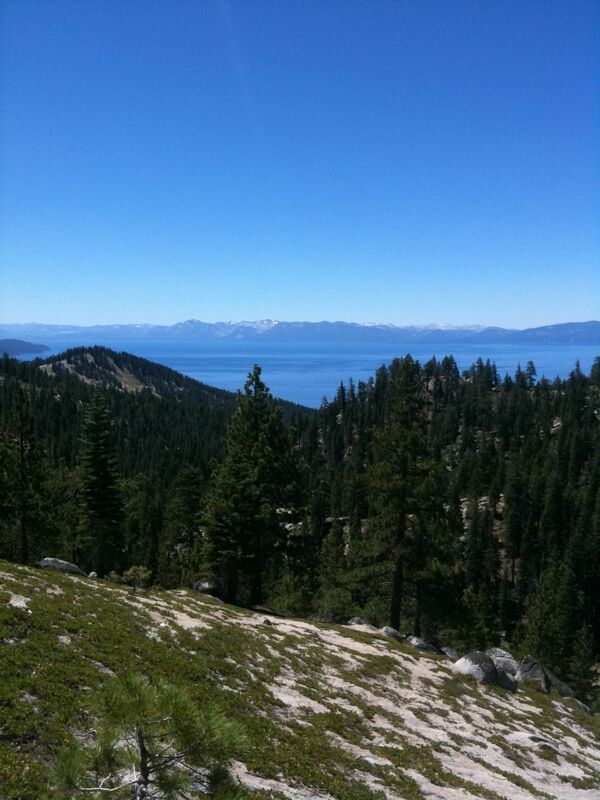 There is an overlook looking at Lake Tahoe. Perhaps referencing that in the directions would be good as that is about the place where 431 horse-shoes back on itself. East of 431 after that overlook (with the big stone thing that has a bunch of plaques on it) is toward the Lake a bit. And not on the left side of 431, either...it is on the right as you head up the hill! If there are any suggestions for finding this location, I would welcome the chance to have a look again.